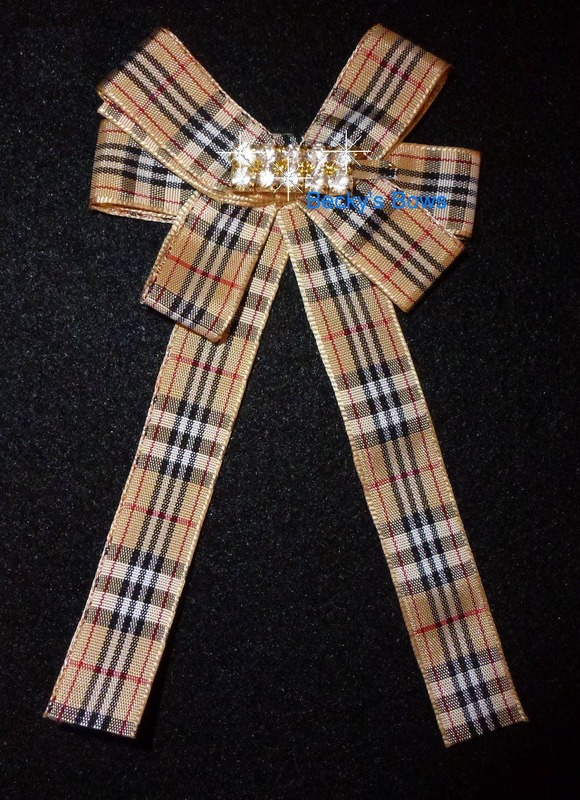 This large lapel bow measures 3" x 6" with pin back attachment. 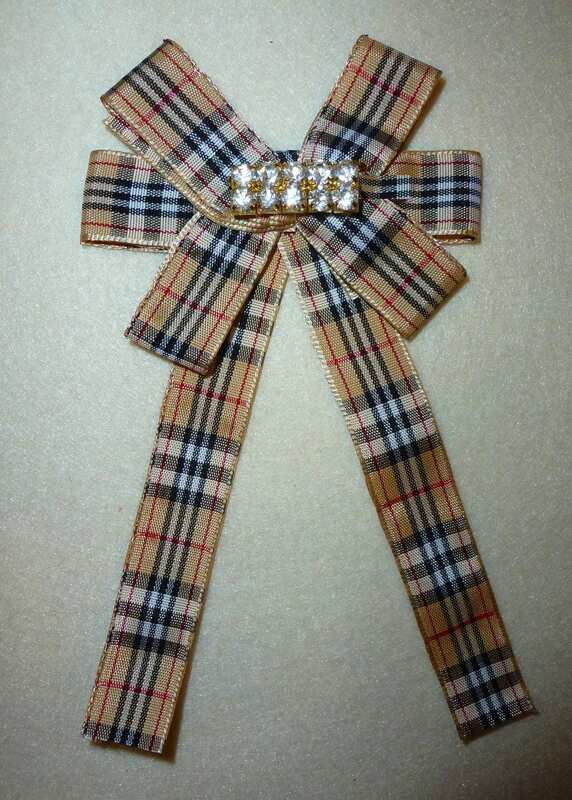 Created from my brown berry Scottish plaid ribbon. In the center is a small rhinestone bar. This item was created and sewn by me.